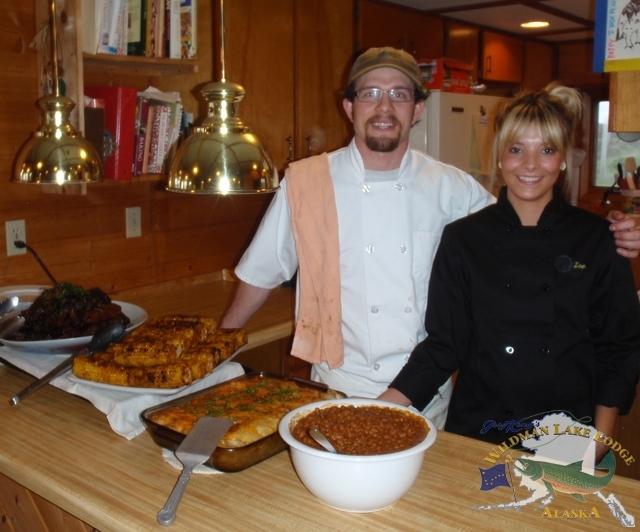 Wildman Lodge is a true wilderness fishing lodge, owned and operated by lifetime Alaskans, Butch and Kathy King. 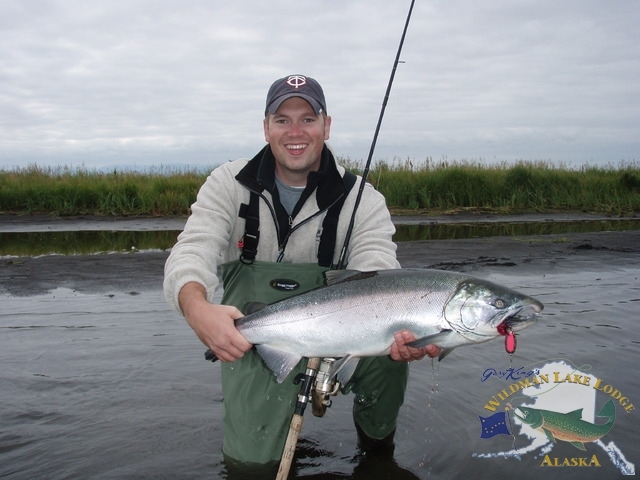 Wildman is located 500 miles southwest of Anchorage on the remote Alaska Peninsula, on the banks of Ocean River, Alaska’s ONLY crystal clear artesian sport fishing river. Wildman Lake Lodge is the ONLY lodge on this river, so NO CROWDS and gin-clear water! EVERYDAY! Guaranteed! 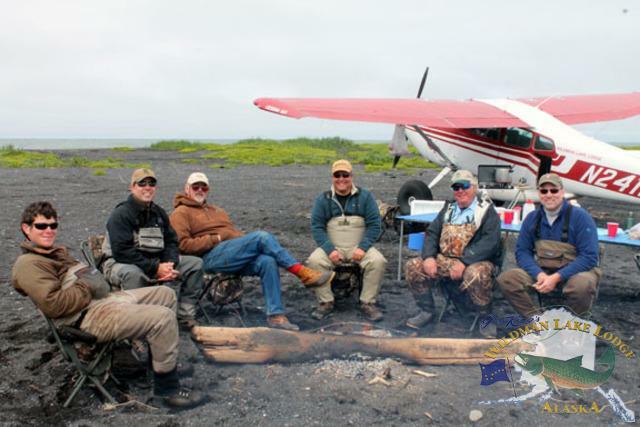 Wildman’s staff of licensed sport fishing guides, experienced pilots and Coast Guard certified captains know the Alaska Peninsula waters and where to find great fishing at any time during the season. Our comfortable facility is designed to accommodate only 16 guests, making it very exclusive. 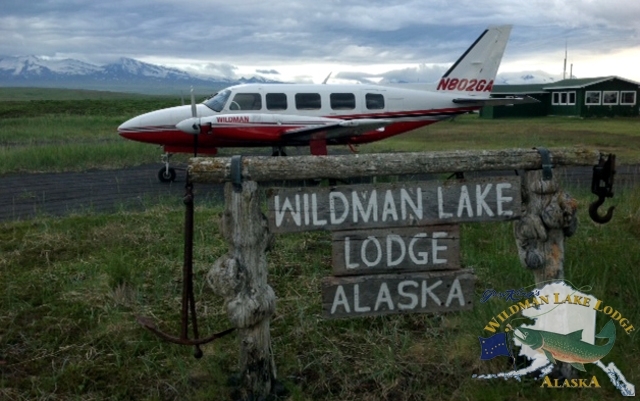 Individual fishermen, fishing couples, families and corporate groups vacation at Wildman Lake Lodge each season. Our remote location is way out of cell phone range, which most guests greatly appreciate. You can now check your email on the Wildman Lodge Wi-Fi computer, located in our Internet Corner Cafe. If you need to connect to the internet with your own device, you may request Satellite Access. Satellite phone calls can also be made from Wildman Lake Lodge. We have a fully-stocked fly tying table set up in the lodge if you would like to “Match the Hatch” or try your hand at tying a few Alaska patterns. Wildman also has an excellent selection of popular flies, spinners and spoons available at “Kate’s Bait,” our pint-sized gift shop, where you will also find Wildman Logo Wear: T-shirts, hats, fishing shirts and fleece jackets. Fly lines, leaders, shot shells and an assorted fishing products are available as well. 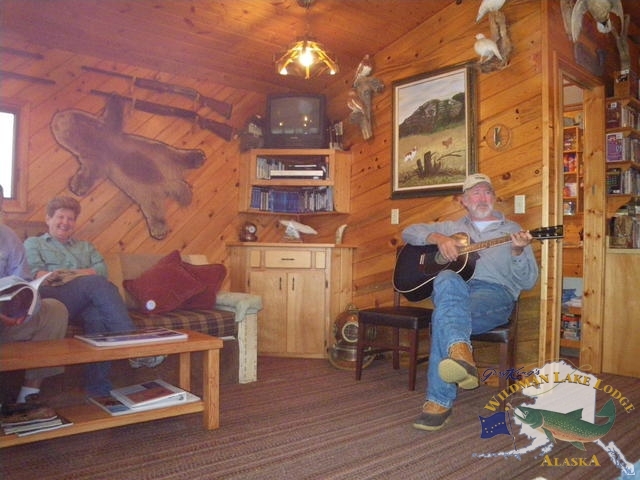 The Trapper’s Den is our comfortable living room overlooking Ocean River, where you can enjoy watching the trout rise, the salmon wake and the majestic bald eagles make low passes over the rafts of unique Alaska waterfowl. Brown Bears are often spotted from the Trapper’s Den as they slink by at the edge of the brush line across the river, hoping not to be seen. By the light of the Midnight Sun, you can watch fishermen, both two and four legged, as they work the clear artesian waters for salmon, trout and char. 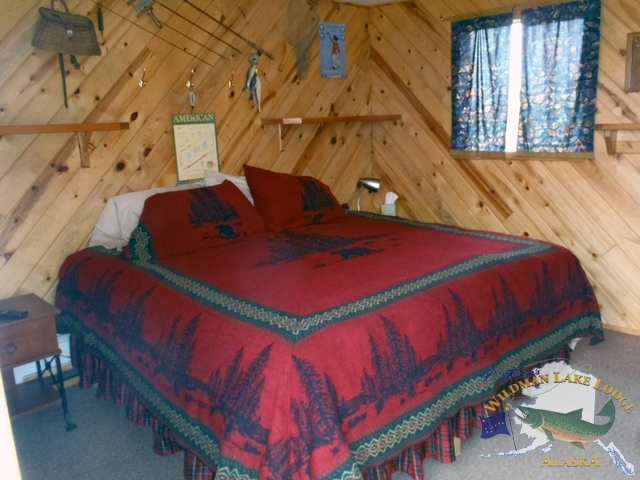 The Trapper’s Den is a great place to relax and tell your fish tales at the end of yet another great fishing day. Yes, Wildman himself has been know to play a little guitar at night and on occasion, recite a bit of colorful Klondike poetry from Alaska’s historic Gold Rush days. Wildman’s professional kitchen staff will prepare a wonderful variety of scrumptious culinary delights during your sport fishing week. Our menu includes American favorites and international fare, and of course, “the catch of the day.” We will put your will power to the test with decadent desserts, cookies, cakes, breads and pastries baked daily in the Wildman kitchen. Our spacious dining room comfortably seats up to sixteen guests and our guide staff at meal time. The hand crafted Sitka Spruce dining room tables are set with elegant Bavarian china, especially designed for Wildman Lake Lodge by Christian Seltmann, from Seltmann-Weiden of Bavaria, Europe’s leading porcelain manufacture.